Dimensions of each coaster: 3-4" approx. 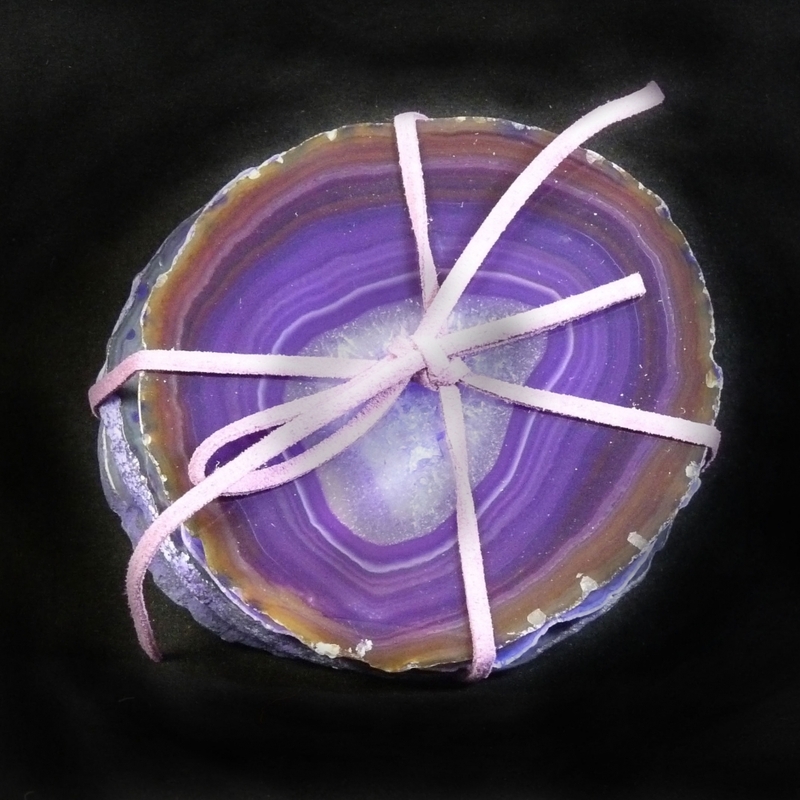 Sure to be noticed, this Set Of 4 Purple Agate Stone Coasters would look lovely on many dining or coffee tables. Each coaster reveals unique natural patterns and shades, which are the result of volcanic lava bubbles cooling and slowly filling with crystalline bands. The colourful coasters would equally be great as purely decorative pieces and are tied together with matching coloured cord, this set would be a perfect gift for a number of occasions.